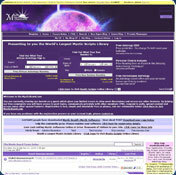 MB Free Chinese Zodiac Signs Software lets you determine your Chinese zodiac sign from your date of birth. Chinese zodiac signs are also known as animal signs. These signs are based on the Chinese Lunar Calendar. MB Free Chinese Zodiac Software gives you a detailed interpretation of the sign you belong to according to Chinese Astrology. It gives a report that includes the positive and negative characteristics of each sign, your lucky colors, months and seasons, gemstone, element, energy, ruling planet and compatibility with other signs. MB Free Chinese Zodiac Software aims to help people come to terms with their good and bad traits and rectify the negative qualities if they have any, so that they can lead happy and prosperous life. The Chinese calendar has a sixty year cycle. Each year is signified by an animal and an element. There are five elements and twelve animals which give rise to the sixty year cycle. The period from mid January to mid February of each year may have a different animal sign and element based on the Chinese Calendar. A person born in a particular year, is governed by the animal that governs that year. NOTE: In order to support the development of this product, you are required to register this software. You must register this product within 45 days. You cannot download any crack or serial number for MB Free Chinese Zodiac Software on this page. Every software that you are able to download on our site is legal. There is no crack, serial number, hack or activation key for MB Free Chinese Zodiac Software present here. Our collection also doesn't contain any keygens, because keygen programs are being used in illegal ways which we do not support. All software that you can find here is freely downloadable and legal. MB Free Chinese Zodiac Software installation package is prepared to be downloaded from our fast download servers. It is checked for possible viruses and is proven to be 100% clean and safe. Various leading antiviruses have been used to test MB Free Chinese Zodiac Software, if it contains any viruses. No infections have been found and downloading MB Free Chinese Zodiac Software is completelly problem free because of that reason. Our experts on malware detection tested MB Free Chinese Zodiac Software with various spyware and malware detection programs, including fyxm.net custom malware and spyware detection, and absolutelly no malware or spyware was found in MB Free Chinese Zodiac Software. All software that you can find on our servers, including MB Free Chinese Zodiac Software, is either freeware, shareware or open-source, some of the software packages are demo, trial or patch versions and if possible (public domain licence), we also host official full versions of software. Because we want to be one of the fastest download sites on the web, we host all the software including MB Free Chinese Zodiac Software on our servers. You cannot find here any torrents or download links that would lead you to dangerous sites. Rate MB Free Chinese Zodiac Software 1.95!